From Predators playoff hockey action, monster trucks and motocross, to music’s biggest names, Bridgestone Arena is a hub for the best sports, music, and entertainment in the world. And now it’s easier than ever to get to and from the arena with Uber. Today, we’re excited to announce a partnership with Bridgestone Arena and the Nashville Predators to help fans get to and from the action at Bridgestone Arena with ease. When you’re headed to an event of a lifetime, the hassle of getting there and back shouldn’t be in the spotlight. 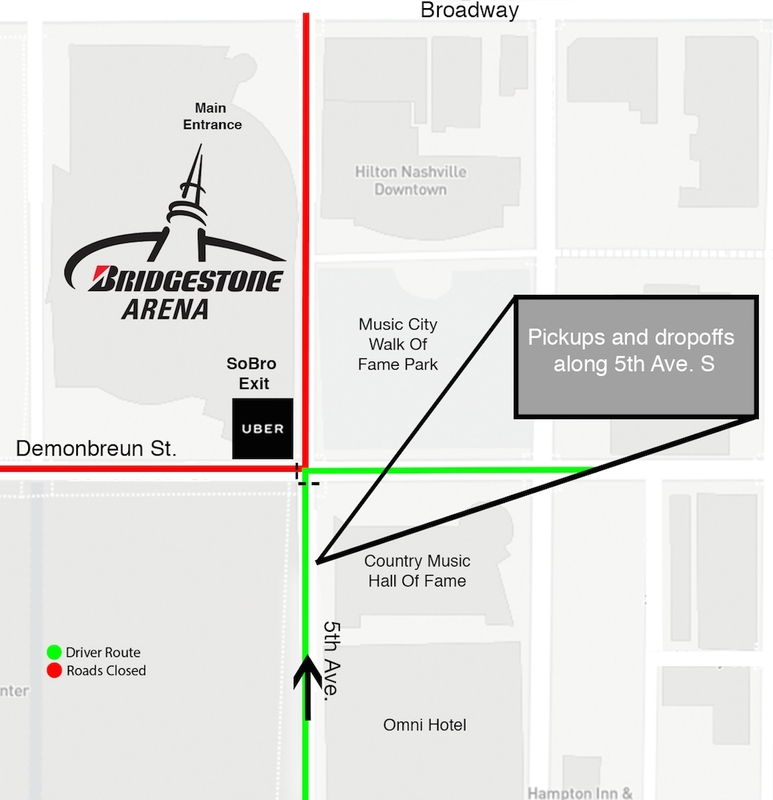 To make getting to and from Bridgestone Arena easier, we have a designated Uber pickup and drop-off area at the arena on 5th Ave S. south of Demonbreun St, so fans can connect with a ride easily before and after an event. Throughout the season, we’re also bringing some fun to Predators game days, so keep an eye out for ways to play along. Be sure to pay attention to where you’re sitting—you might be a lucky winner! If you can’t find your driver give them a call and find somewhere to meet between 5th and 4th Avenue along Demonbreun St.